Kids face unique dietary challenges which is why Allegro Medical offers a full line of nutritional supplements and nutritional drinks just for kids. Weather you're looking for ready-to-drink Pediasure, lactose free drinks, fiber enriched supplements or tube feeding enteral formulas, we have it all. We know how valuable your time is, that's why we created Allegro's Monthly Delivery Program. 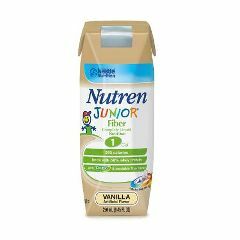 Get your kid's nutritional products delivered monthly, or as often as you need.